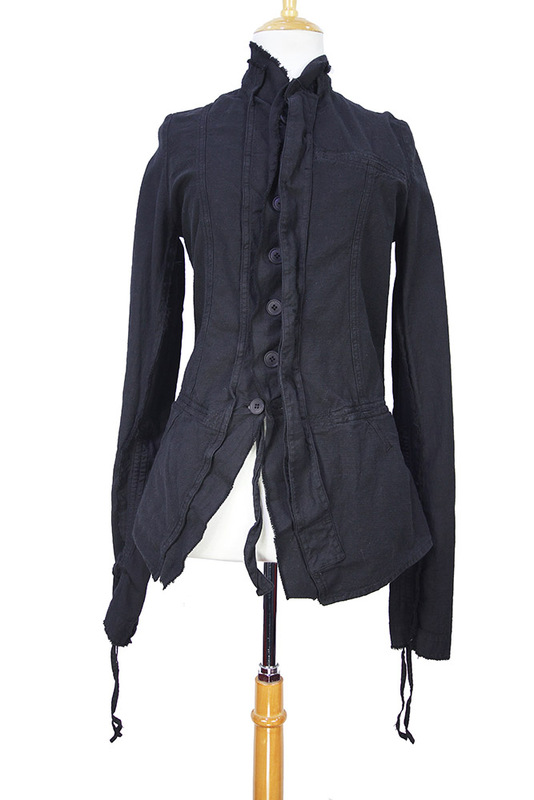 Pal Offner boy jacket in over-dyed black raw textured cotton. 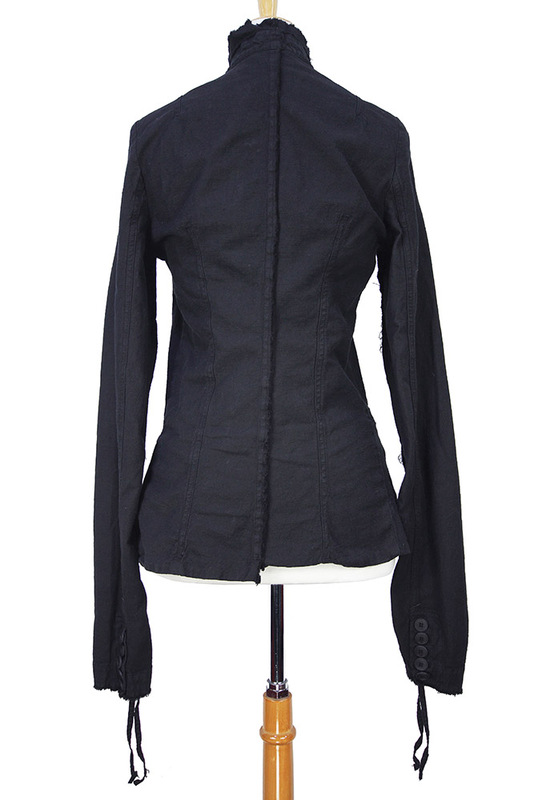 Round double layered collar with raw edges. 7 button fastening down front, with doubled placket, as with all Pal Offner jackets, coats and shirts the buttons can be transferred easily to either side. 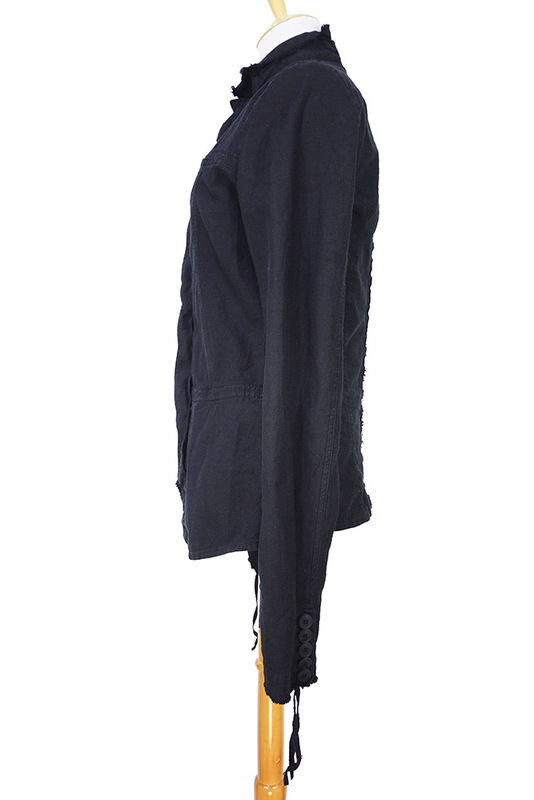 2 pockets and a left chest pocket. 5 button working cuffs and fabric pulls on each lower arms so the lower arm can be gathered (ruched). Panel construction. This is a stunning jacket, with lots of detail, beautifully designed.